It seems like the media are relentless in their reporting of the ’Eurozone crisis,’ ever since it was established in 2002 and the latest headlines concern the political activities of France and Greece. Even though the UK is not technically part of the Euro, you would be naive to think that this means that the UK too, will not be affected. The Euro was established in 2002 where 11 member states (excluding Britain) opted to join the euro which effectively meant that they fixed all of their exchange rates together and handed over the power to set interest rates to the Central European Bank (CEB). All of these countries currency is now the Euro. The idea was that by joining forces, these European countries otherwise known as the ‘Eurozone,’ would be stronger as a team than individuals and the economy would prosper. 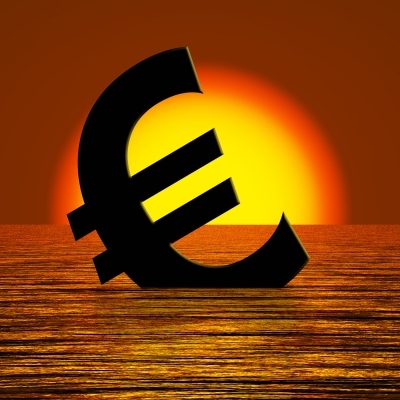 The markets have always understandably been cautious when looking at the Euro as it is relatively new and people were hesitant to invest for fear of the unknown. Unfortunately no one could have predicted the current recession which has unleashed chaos onto the Eurozone. The global recession has challenged even the world’s strongest economies, but unfortunately the weaker ones have taken a serious battering. This means that countries with fragile economies such as Greece, Italy and Portugal have succumbed to huge financial debt and have had to be bailed out by their European neighbours, the worst case being Greece where Eurozone countries gave them €80 billion bailout. What the Eurozone desperately needs is some stability to get back onto an even keel which is exactly what they are not getting at present. The French presidential election has cast a huge shadow over the Eurozone as the leadership has been rocked by the fact that President Nicolas Sarkozy lost to Socialist candidate Francois Hollande. Therefore the market has reacted with caution until the new leader can prove himself. In the neighbouring country of Greece, uncertainty grows as a general election to cast a much needed leader resulted in no political party winning enough votes to form a government, raising the possibility of new elections within months. Understandably the global markets have reacted with uncertainty and the effects can be felt in the stock market. The global economy, especially within the Eurozone, desperately needs some stability to give investors the confidence to start trading again. Until this happens, it looks like the headlines will continue to report uncertainty, nervousness and reluctance within the stock market. Laura Susstance is a content writer from the UK. When not writing on a freelance basis or writing guest blog posts, she regularly writes on her own blog: FastPayDayLoansReview.com.